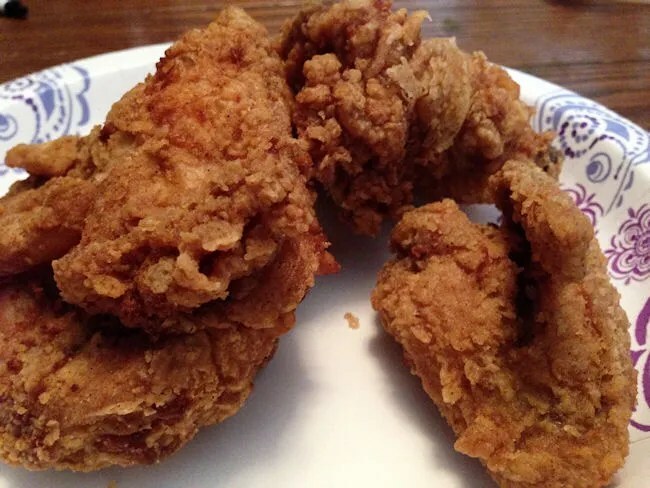 Every time I write a blog about chicken there is someone who sends me a message saying I must go to Mattawan and get chicken from the grocery store. I always say, sure, I’ll keep that in mind and honestly, I always do….but how good can grocery store chicken be? L and I spent every morning this week in Mattawan for a soccer camp at Mattawan Middle School. After camp on Wednesday, I decided to stop by the store and pick some things up that J had been asking me to do all week. 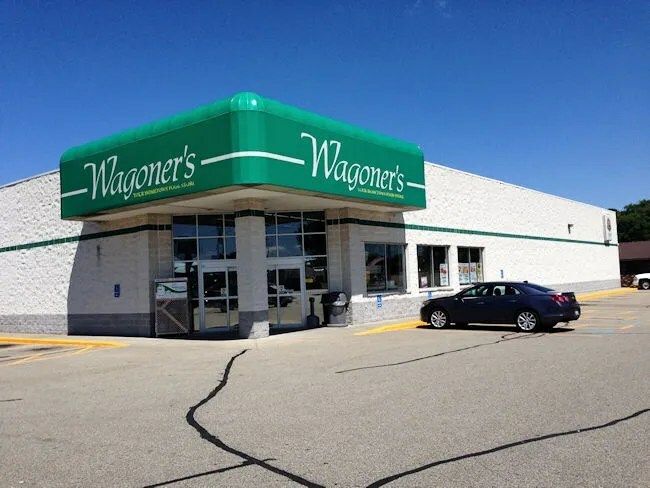 Wagoner’s is the main grocery store in the small community of Mattawan. It’s on the corner of McGillen and Main just to the north of downtown. 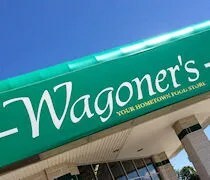 Wagoner’s is a small grocery chain with other locations in Lawton, White Pigeon and Bloomingdale. 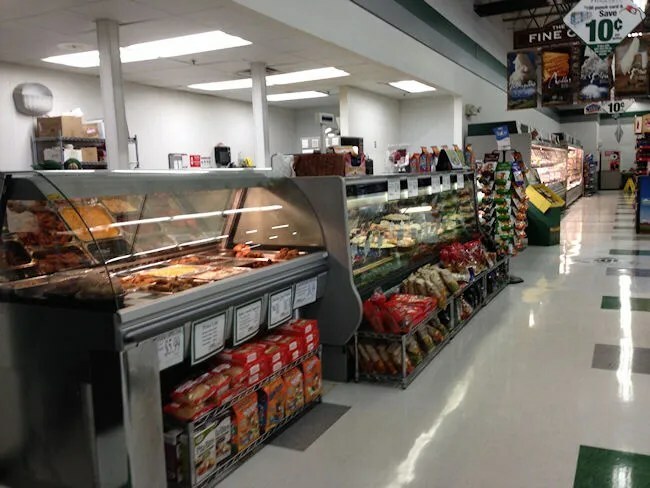 The Mattawan store is fairly large for a small grocery store. After picking up the few items I needed, L and I headed back to the deli. The hot food case is pretty small, but I saw a pile of chicken sitting there. It was just after 11:30, so I figured it couldn’t have been sitting there too long. They also had some of the usual sides and chicken tenders to go along with the fried chicken. I asked for an 8-piece which was actually on sale that day. The lady working the deli told me the cashier would have a coupon and the meal would be a dollar off. I only had a few more things to grab on my way out before heading to the cashier. L and I beat J home that afternoon, but not by much. I told J I had chicken when she walked in the door and L climbed up on to her chair and said she wanted chicken. I doled out a few pieces to each of us. J and L pretty much only eat the white meat, so I took one breast and broke it down for L. She wanted to eat off the bone like the rest of us, but she didn’t do very well, so she moved back to the pieces I ripped off. I gave the other breast to J who took a bite and was instantly surprised. The chicken was very moist and juicy, but it was the breading that she liked the most. It was crispy yet not burnt and very flavorful. I got a pretty heavy salt taste when I bit in to a piece almost like the chicken had been brined. I was eating the dark meat while the ladies went for more of the white, so I don’t know if that made a difference or not, but the chicken was very good. L surprised both of us and ate pretty much a whole breast by herself then asked for more. I had already given a wing to J so there was only one left. I pulled as much meat as I could off it, but L still wanted more. By that point, I had eaten almost all of the dark meat myself so there wasn’t much left to give her. We decided to find her something else and I kept the last thigh for myself to eat later. The eight piece chicken set me back less than $8 and those commenters that suggested I make my way to Mattawan when I wanted chicken were on to something. 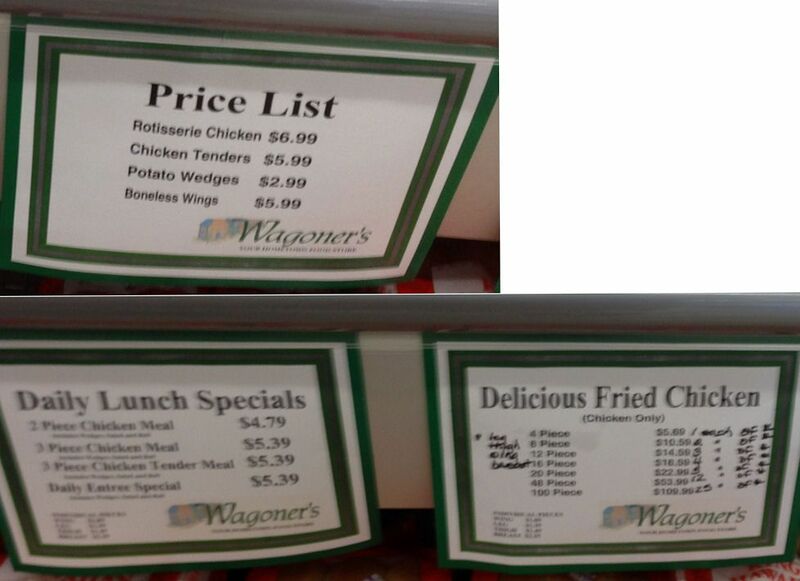 The chicken from Wagoner’s is definitely anything but ordinary grocery store fried chicken. 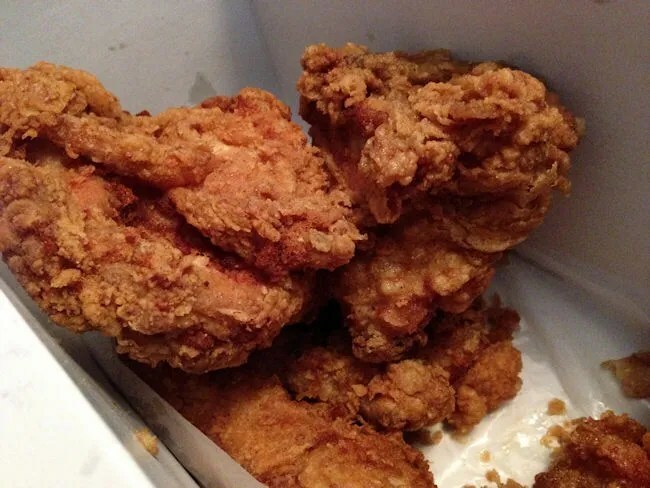 We were all surprised at just how juicy the chicken was and how crispy and full of flavor the breading turned out to be.